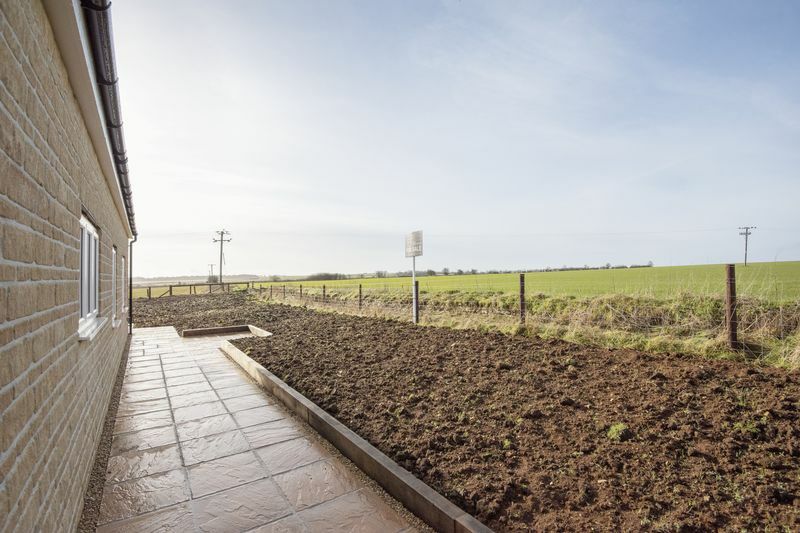 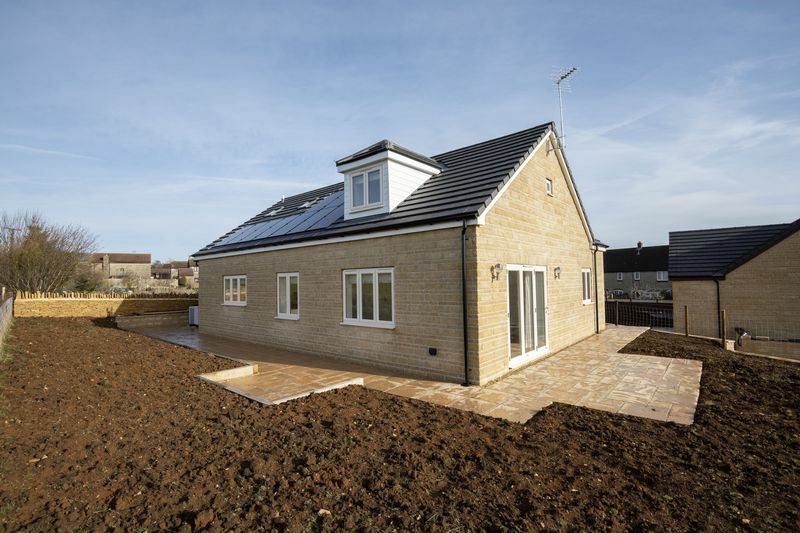 Debatably situated in one of the best positions within the village, this brand-new detached home sits on the outskirts of Hawkesbury Upton overlooking unspoilt, open farmland. Number 47 Birgage Road has been built within a sizeable plot, along with just one other property, allowing a fantastic sense of space. 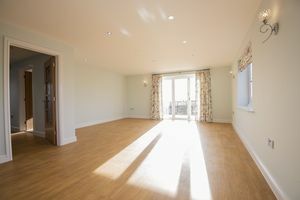 The orientation and layout of the reception rooms maximises the impressive south and west facing views across the Gloucestershire countryside. 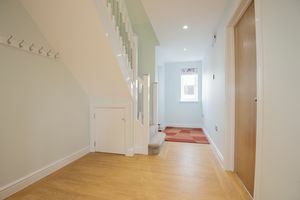 The accommodation is arranged over two floors and the proportions don’t disappoint throughout. 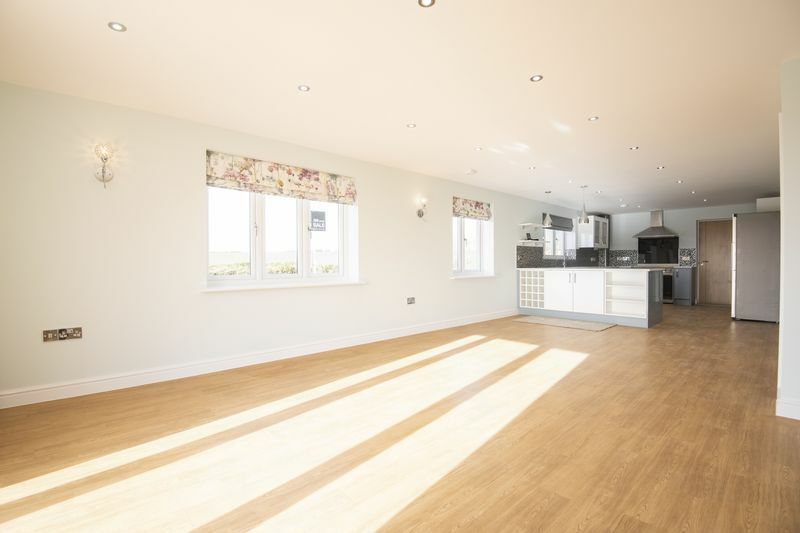 Across the rear of the property is an impressive 38ft open plan living space. A contemporary, high gloss fitted kitchen occupies a third of the room, boasting a a range cooker and fridge as well as an integrated dishwasher. There is generous space for both dining and seating areas and bi-folding doors open out to the rear garden along the southern aspect of the room. 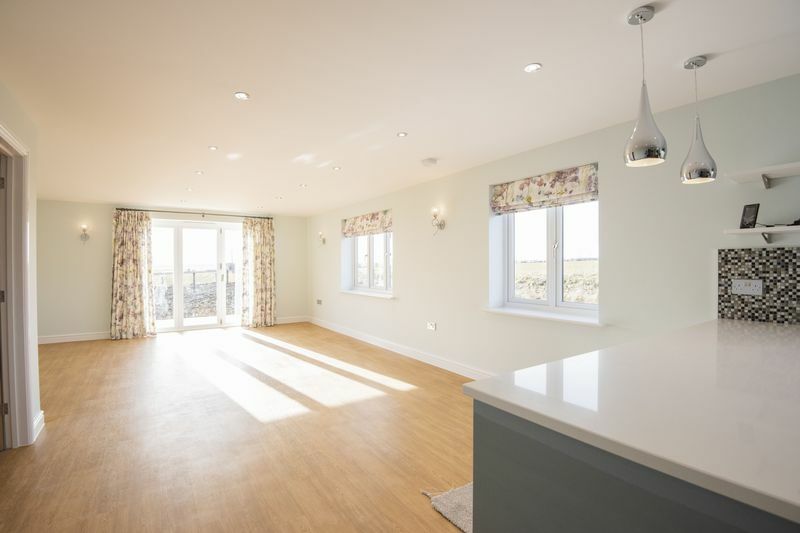 The space is filled with light by a further three windows across the back, all enjoying the same countryside outlook. Adjacent to the kitchen area, a door leads into the garage at the side of the house. 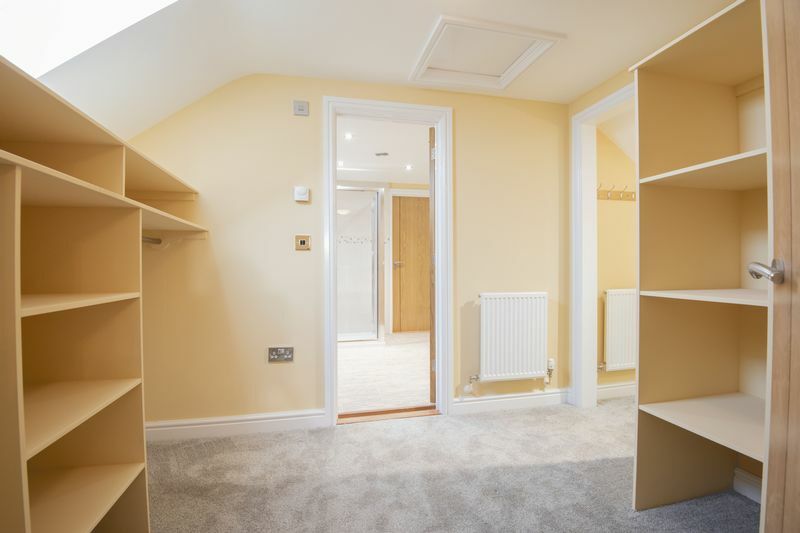 As well as being a generous width to happily fit a modern car through the roller door, there are fitted base units across the rear and a door and window that open out to the garden allowing the space to double up as a useful utility room. 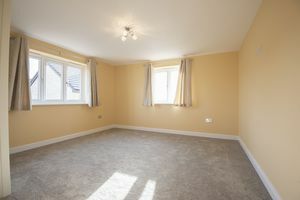 To the front of the ground floor are two of the double bedrooms, both accompanied by built-in wardrobes. 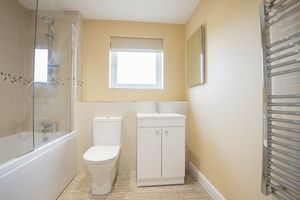 The main bathroom sits between the two, accessed from the hallway, and boasts a fitted white suite with a shower over the bath and is finished in modern tiling. 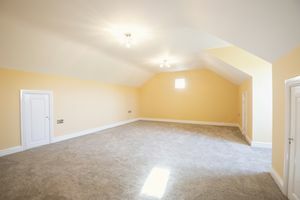 Rising to the first floor is the master suite. The impressive 21ft bedroom space has dual aspect windows and also provides access to the eaves. 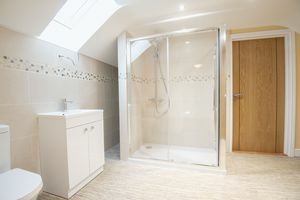 Beside the bedroom is a dressing room with fitted hanging and shelving storage, and the master en-suite has a white suite with double shower and again finished in modern tiling. 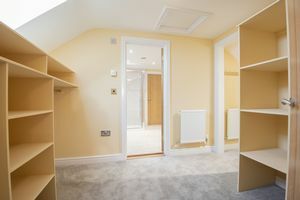 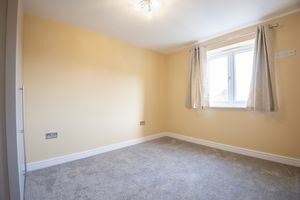 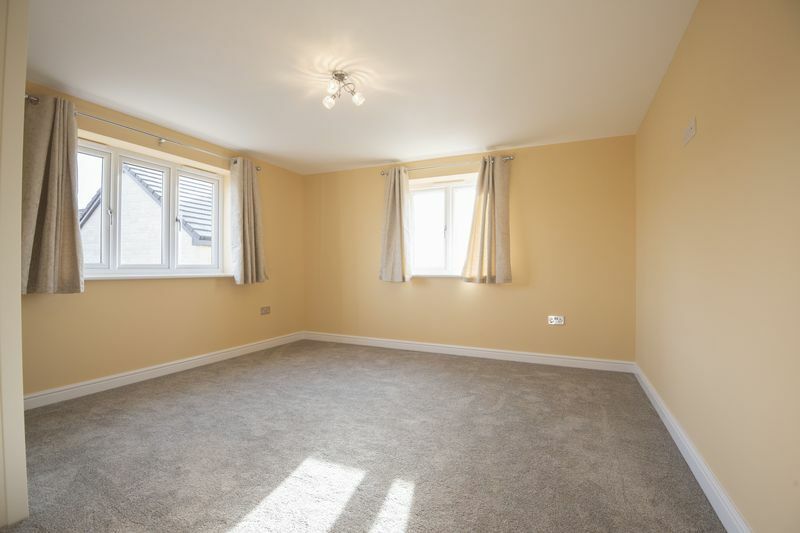 An attic space is accessed from the en-suite via a full-sized door, the central heating system is housed here and it’s also offers a great storage area. 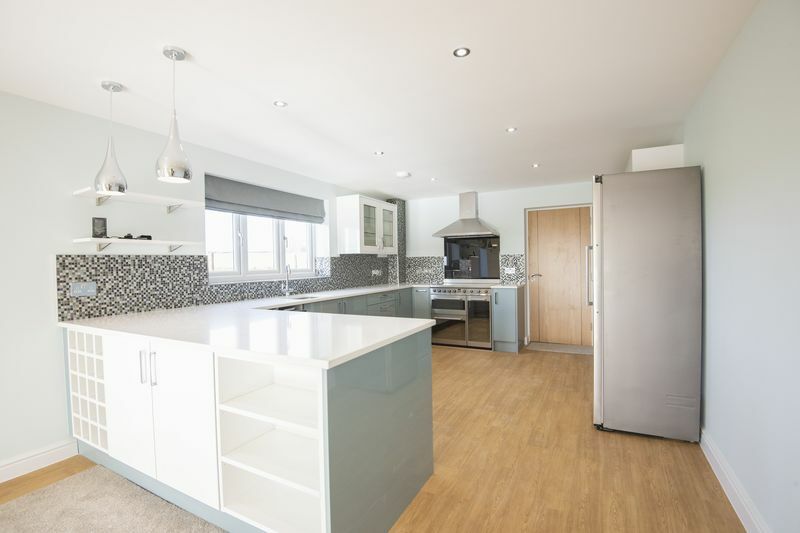 The property is heated by an Air Source Heat Pump system and solar panels. Underfloor heating runs throughout the ground floor plus the master shower room. 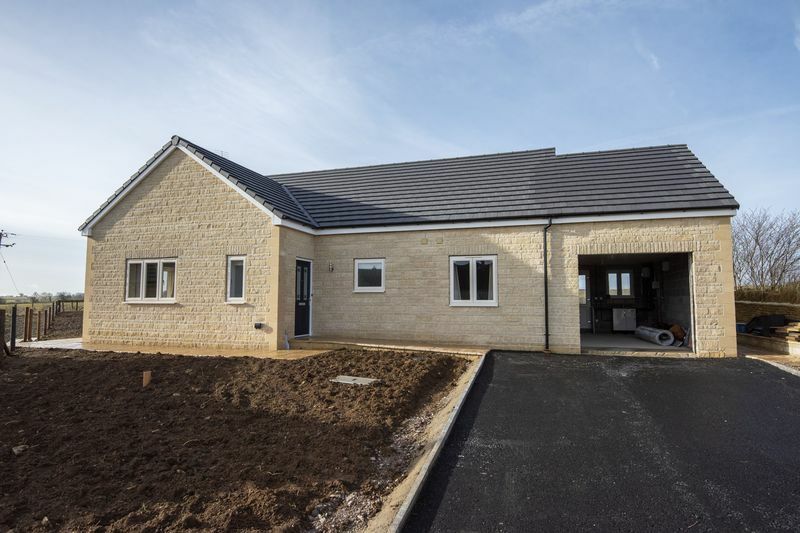 Externally, there is a driveway with parking for multiple vehicles leading up to the garage. A shared driveway with number 45 is used to approach the property from Birgage Road. 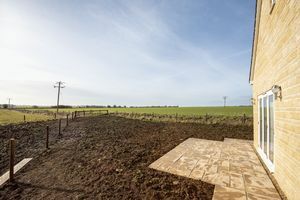 Gardens surround the house, which are due to be fully landscaped within the coming weeks, and a flagstone patio wraps around the side and rear of the property.